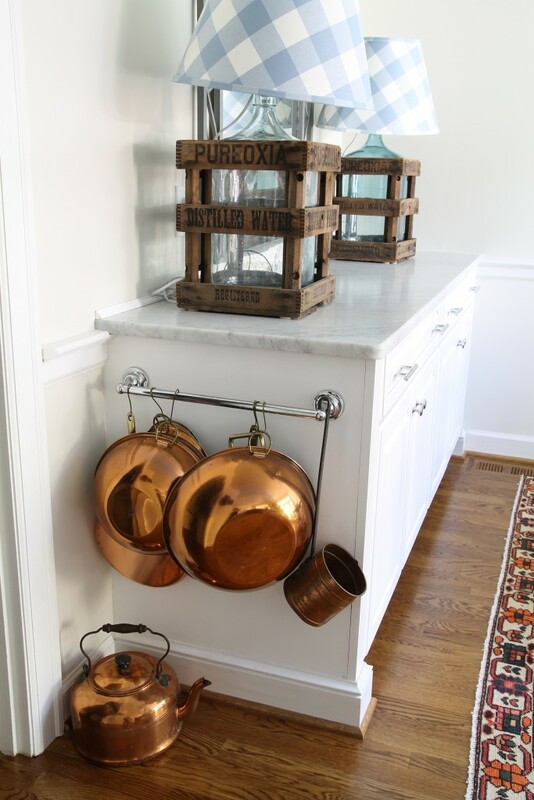 Marble floors and counter tops won't be in this blogger's new home. 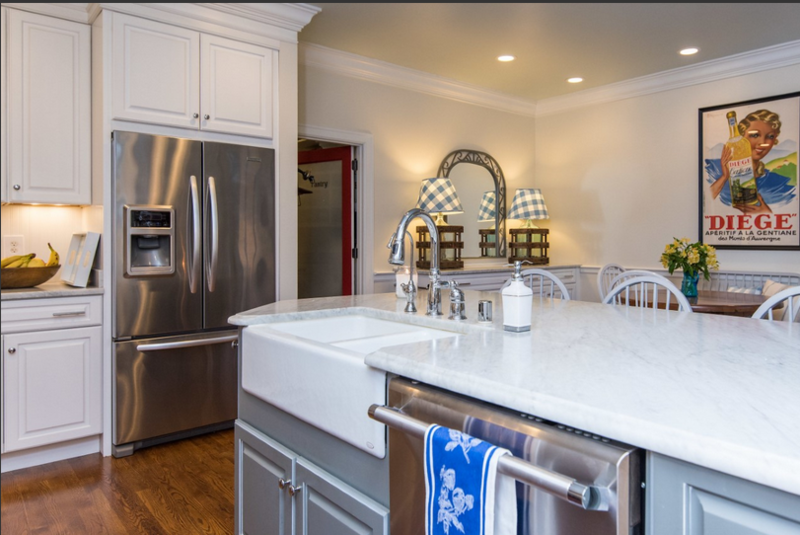 When people ask about the new home we are in the process of remodeling, they usually want to know two things: when will we move in, and will we be using marble. I know…..that second question is surprising. Of all the things they could ask about, they want to know about marble. Well, the answer is no. We will not use marble in our new place. 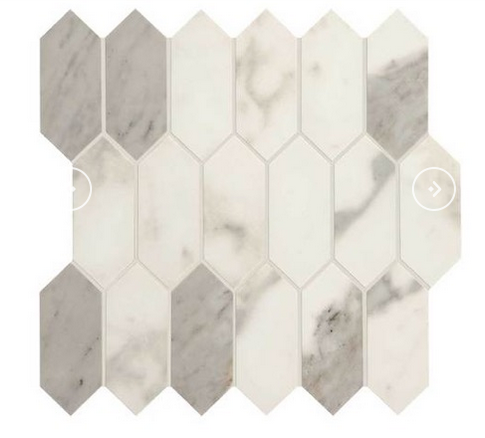 All of the floors where we could put marble will be porcelain instead. All of the counter tops will be man-made as in quartz. In our last place, we had marble floors in three of the bathrooms. 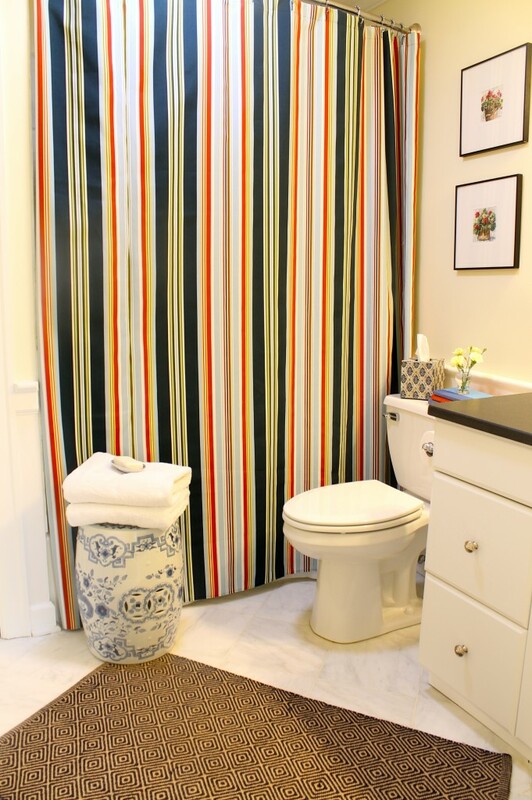 (The powder room had hardwood, and the basement bath a decorative texture floor coating). The marble was my favorite Cararra marble, and it was in 12 x 12 inch squares. The same marble squares also lined the three shower areas, and we had tumbled marble mosaic squares on the shower floors. The grout we used was creamy white. Even though we don’t wear outside shoes in our houses, those marble bathroom floors showed wear and tear from our seven years of use. We had them sealed when they were installed, but they still had stains and etchings that were permanent. Now, don’t get me wrong. I was an educated shopper and knew full well that the floors would etch. That’s what the stains, spots and wear that appears on marble over time is called. And I thought I would be fine with it, but I wasn’t it. I love a clean house, and our house was clean. But the bathroom floors didn’t look clean. When we travel, and I see old marble floors in cathedrals, temples, and castles, I am always blown away by the fact that those floors have been there for centuries and still look pretty darn good, despite all of the feet that have walked on them. But in our own bathroom with sparkling white cabinets, bright lights, shiny chrome, and bright white towels, the etchings just didn’t work for me. I thought the floors looked dirty. 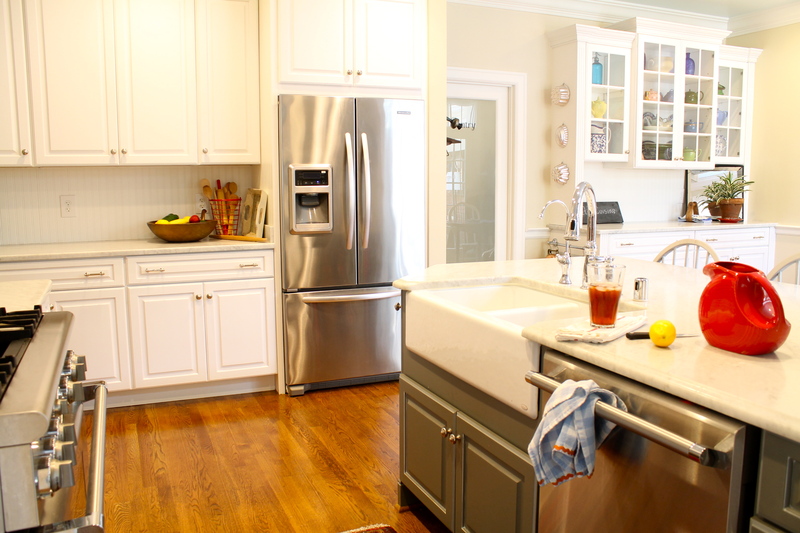 The kitchen counters were all made from Carrara marble slabs. It was just beautiful, and I loved the way it looked. However, I didn’t love using it. Thankfully, I had a bake area with laminate counter tops in our pantry where I did all of the mixing of cakes, pies, cookies, and bread that I made. I’m sure that helped save the looks of the marble. Plus, whenever I prepared a meal, I used cutting boards and did all of my prep on them. That helped keep the etching at bay, too. But there were many water rings and water spots all over the counter tops from just normal daily living. If we got a gallon of milk or orange juice out of the fridge and set it on the counter, that could cause a permanent ring. And when the sun or lights hit those rings during the day, they made the counter tops look smudged, greasy, and dirty. I just didn’t like being so careful but still getting those spots. Now, this is totally my hang-up. 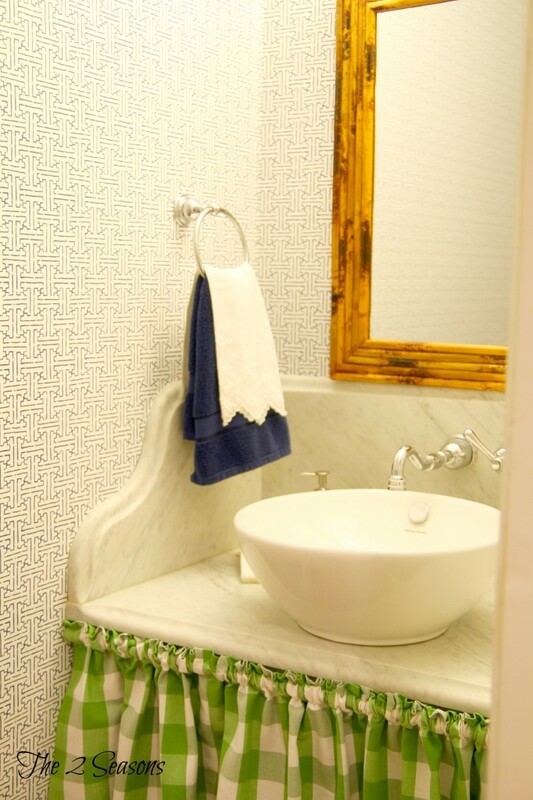 My French friend even has Carrara marble counter tops and even a marble sink in her kitchen. The French think those etches are the sign of a good cook. They embrace the imperfections, and I commend them for that. I love seeing marble counter tops in Europe, and their etchings just add to their patina. 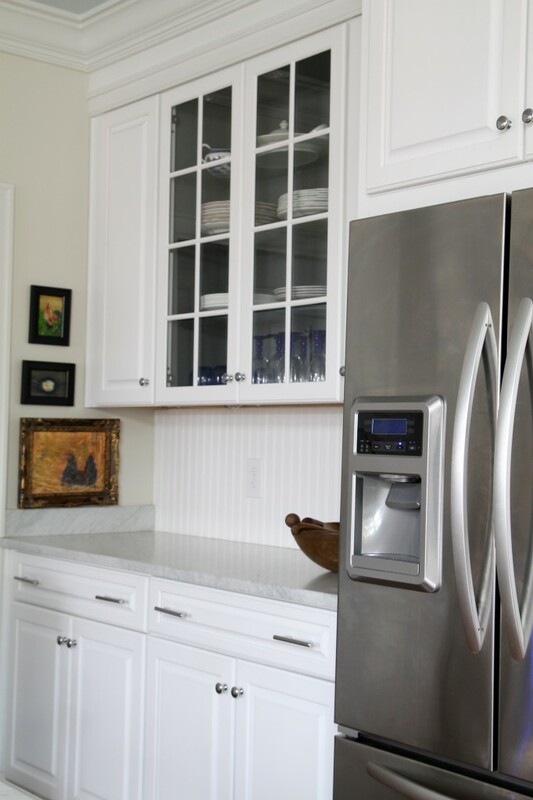 But again, in our own home with the bright lights, white cabinets, etc., the etches bothered me. Since we love the look of the marble, we will be using a quartz that looks like marble in our new kitchen. We found a brand that is pretty spot on, and when we selected it, we actually had a piece of real marble for comparison, and they looked very much alike. We still have to pick out the big slabs, though, and hope to do that next week. It’s nice that even though it’s man-made, each slab is different, and we get to select the slabs we like the most. 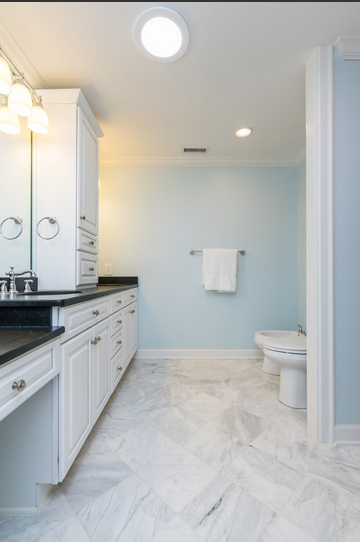 The porcelain that we order for the floors and showers also has a marble look to it. It will be going in three of the bathrooms. The powder room will have hardwood, and I haven’t picked out the flooring for the third floor bath yet. Since it’s the grandkids’ bath, it will have “off the rack” porcelain floors. Oh, and we will be using porcelain, rather than ceramic, because it is stronger and more durable. For those of you who have marble, I would love to hear your thoughts on it. Do you love it? Would you do it again? When we built our house 24 years ago, it was on a strict budget and I had to go with vinyl floors and Formica counter tops. In 2016, our house, along with 1/2 the state of Louisiana, flooded. Even though we only had 7” in our house, we had to remove everything. We were able to reuse our cabinets, which were solid wood. My husband wanted wood looking porcelain tile through out the house, and I got quartz counter tops in the kitchen. I don’t remember the name of it, but it looks like marble also. I love them. They are so easy to clean and still look brand new. Kim, I can’t imagine how horrible that flooding must have been. I think those wood-like porcelain tiles are great! The easy clean part is why I am getting quartz. I had the fellas from Nicholasville that you recommended install a large marble countertop in our master bath. Five years later, it’s still as beautiful as the day of installation. Absolutely no regrets. Gloria, I am so glad you had good luck with Victor. Love this review. I almost piulled the trigger on marble and then decided I didn’t need one more thing to “police” in my home. Would you mind sharing your flooring tile source? I’m going begin a bathroom remodel . The floor tile is by Daltile. Thanks Janette for sharing your opinion and insight on Marble. 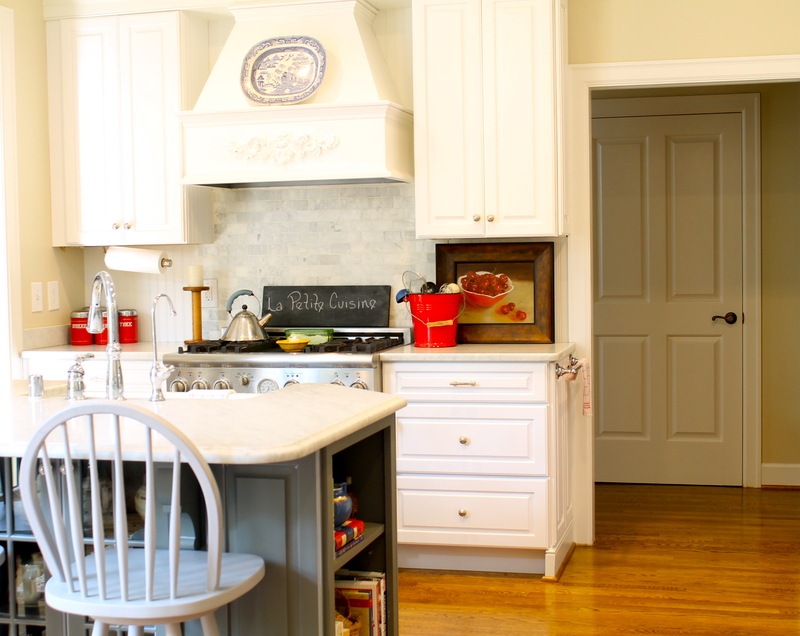 I also love the look of Cararra Marble and have always wanted it when we redo our kitchen. This just adds to the list of others that have the same feelings after living with marble. When the time comes…I will be looking for the same look, but with Quartz! Glad I could help, Jan. I am with you Janette….in my future home I will use quartz and porcelain as you….Have a great weekend! Shirley, I don’t think we will regret it. Oh, my! I am glad I read this. I was thinking of using marble in my bath remodel. Now, I am second guessing. I do not like being careful. Kathy, glad I could give you some food for thought.